Golden years are here and your only job is to relax and enjoy. For that “hard work,” you need to find a city. Many retirees choose Florida because it is a perfect state for them. It is affordable and the weather is perfect. Sunny and hot days are one of the main reasons why many retirees choose this state, besides its affordability. So, your next step is choosing one of the best Florida cities to retire and to move there. Start this new part of life in a state where you can stay fit and where you can have an active life even after retirement. Florida has many beautiful cities, but some of them are the perfect choice for retirees. 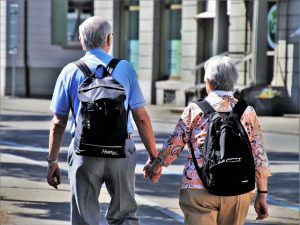 These are some of the best Florida cities to retire, alone or with your partner. Choose one of them and start your new life. After you choose your next destination, find long distance moving experts in Miami, FL and move. Florida is a big state with a lot of different and unique cities. Your only job now is to choose one of them. This city in Florida is full of life and different activities. The population is 56,000 and 30% of residents are retired people. Also, it is a very affordable town to live in. The median home price is about $200,000 and the median rent is $1000. Taxes rates are a little bit higher but their medical centers and hospitals are one of the best in the country. If you love ballet and opera, you will enjoy here. Also, Tampa is near, so you can visit it often. It is not just the city for retirees only, many young professionals choose to live right here, in Sarasota. It is a small town with a population of 16,000, but it has it all for you. There are many of recreation centers where you can spend your time. Almost 30 percent of the population are retirees, so you will definitely be bored here. Because of the beach, there are also a lot of tourists each year. Your family will love this place, and they will visit you often, for sure. The median home price is $180,000 and the rent is about $850. It is the perfect place in Florida for retirees, not only because of affordability but also because it is a very safe place with a low crime rate. Florida is a sunny state with plenty of hot days in a year. Enjoy and relax on one of Florida’s beaches. It is one of the best Florida cities to retire, and also at the same time, the best place in the south of the US. It has plenty of medical centers, golf centers, etc. and half of the residents are seniors. You will meet a lot of friends in Naples. Houses are expensive. The median price is about $850,000, but you can always rent a home for a very affordable price at $1,350. It has a lot of parks, restaurants, bars and coffee shops. If you are retired, it does not means you cannot have fun. Fort Myers is located in southwest Florida and it has a very rich history you can explore while you are there. About 26% of the population are seniors, so you will not be the only one. Median home value is $180,000, but 54% of the population is renting a home. Rent is very affordable ($900). Most people love to live here, for a lot of reasons for moving to Florida. It is one of the most beautiful towns in Florida and that is why many retirees choose to move and live here. It is also known for sharks and Shark’s tooth festival. Almost 60% of residents are seniors, and that is a huge number which is a good sign for you. Also, it has a lot of medical centers, retirement communities, parks, restaurants, etc. The median home value is not high. It is about $200,000 and most residents (about 75 percents of them) own a home here in Venice, FL. It is a very safe place to live, so you do not have to worry too much. Many people after retirement want to move to a smaller home. It is cheaper and also, they do need a big home anymore. Kids are not there anymore. So usually, they need a home with one guest room when the kids or grandkids come. Moving to a new home is a good option at this point. But, before moving you should do something. You should pack all the boxes and transport them. It is too hard for you to lift and pack all of those boxes and large and heavy furniture. 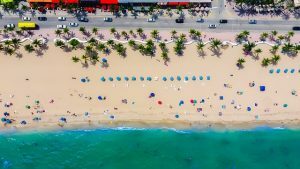 Save your energy for Florida and consider hiring Sunny Isles Beach moving experts to do all that work for you. Florida may be your future destination. 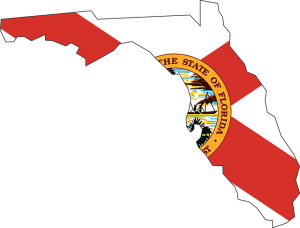 Here are some tips to hire the best moving company for moving to Florida. Get recommendations, as much as you can, from your friends or online. Research the company you want to hire for moving to one of the best Florida cities to retire. The company must have a license and insurance. Read online moving reviews about the company you want to hire. Ask a company for a few referrals. Now it is time to change your address and to explore the world. Hire movers and start an adventure. Your moving to Florida will be exciting. Use that opportunity to try something new and fun. Now you have time for everything. Join the new art class, try to play some instrument, try new delicious food, explore Florida and the rest of the world. When you choose one of the Florida cities to retire, you do not have to be there all the time. Florida is a big state with a lot to offer, you just need to explore it and to find out.